A little more than one year after first breaking ground on construction, the Oklahoma Municipal Power Authority (OMPA) has announced that its new natural-gas-powered plant, the Charles D. Lamb Energy Center, has been declared commercially operational, effective May 16, 2015. The plant is the first greenfield project in which OMPA is the sole owner and operator. It will be officially dedicated at a special ceremony on Friday, June 19. 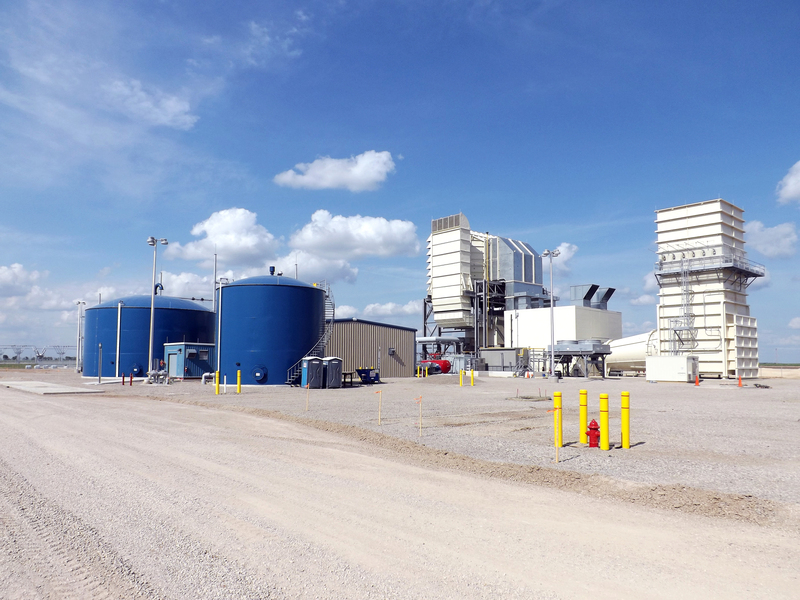 The 103-megawatt plant, which will primarily be used for peaking power, is located seven miles north of Ponca City and six miles east of Blackwell on Highway 11. The site was chosen due to the location of an existing Southern Star Gas natural gas pipeline and a recently built OG&E 345,000-volt transmission line. The size of the acreage on which the plant has been built will allow OMPA the opportunity to expand in the future. Charles D. Lamb was chosen as the plant’s namesake by the OMPA board, thanks to his service as its Chairman since 2001. Lamb, the Mayor for the City of Edmond, is the longest-serving board chair in the authority’s history and has been a board member since 1993.